If you’ve never used Google before then I’m sorry don’t read my blog. Realistically, I know that everyone has used Google whether you use it everyday, every week, or every month we all use it for some purpose in our lives. We Google how to get from point a to point b, random facts about things like frogs average lifespan, capitals of countries, definitions of words we don’t know, images of cute puppies, biography’s of famous people, anything we want to know more about we Google. As I was looking for an interesting article to talk about in our blog, I came across this article saying “Google makes people feel smarter than they really are.” I laughed and was automatically cued in to know more about this. The article mentioned a study that suggests instant, online access to information magnifies people’s sense of their own intelligence. So what does this mean? People think they’re smarter than they actually are. In the study, Matthew Fisher, a doctoral candidate in psychology at Yale University, had a team of hundreds of people engage in a series of experiments. In one experiment, people were divided into two groups and asked to answer random questions such as “How does a zipper work?” One group was told they could search out the answer on the Internet, but the other was not given that resource.Those who searched for information on the Internet believed they were smarter about topics unrelated to their online searches, compared to people in a “control” group who didn’t use the Internet in the experiment. In another experiment, participants were shown images that supposedly showed samples of activity in brains — their brains and the brains of others — as tracked by MRI. Those who frequently used Internet searches typically chose the “smarter-looking,” more active brain images as being their own brains. We learned something in cognitive psychology called overconfidence bias which says people tend to be overconfident in their knowledge. Overconfidence biases say it is at it’s greatest when accuracy is lowest and decreases as accuracy improves yet, confidence doesn’t change with accuracy. Linking this back to the article, it seems as if people are becoming overconfident with their own knowledge because of the easy access to the internet like Google. Therefore, humanity is increasing the overconfidence bias. So not only do we have an inflated sense of our intelligence, but we are confident about that it’s actually accurate. Technology is a growing rapidly every day and if there is one thing I want anyone to take from this article/blog is that just because you can Google something in less than a minute to find an answer does not mean you know EVERYTHING. We don’t need humanity to think we are superheros or brain geniuses because it will lead us to make poor decision on things we don’t know a lot about but THINK we know a great deal about it. Accurate personal knowledge is difficult to achieve, and the Internet may be making that task even harder because we think we are smart due to the internet. I took the liberty of Googling, “What would life be like without Google?” Sure enough I got an answer and it led me to any interesting article (that includes pictures) of “13 Things We Can’t Do Without Google.” It took me about a minute to go through so check it out! This entry was posted in Uncategorized and tagged Google, Intelligence, overconfidence bias on April 13, 2015 by mturney. I dread getting the email from the helpdesk@umw.edu saying “UMW’s policy requires users to change Active Directory (AD) passwords every 90 days and your password is set to expire in 10 days.” I feel as if I just had changed my password and was finally starting to remember it and now have to remember a brand new password. Therefore, I decided to make a meme describing my struggle and possibly other students struggle here at Mary Wash! Since we are required to frequently changing our password at UMW, I am continuously struggling with proactive interference. Before I get into what I mean by this, what is interference? Interference is the competition between targets for activation of retrieval cues and there are two types of interference: retroactive and proactive. Retroactive interference is when new information inhibits our ability to recall old information. For example, say your family moved a few years ago to another state. You most likely have your current house address memorized and it may take you a while to remember what your old house address was where you use to live because your retrieval cue for your home address actively retrieves where you live currently since you use your current home address for mail services, shipping, bills, GPS, etc. In my case, and I assume other UMW students have the similar struggle I have, proactive interference is when the old information inhibits our ability to recall or remember new information. We use EagleNet, Canvas, and Windows in the UMW labs, library, convergence center, and offices everyday (or at least I do). So when we have to change our password every 90 days, the first few days, week, or even month we may enter our old password because we were so use to typing our old password for logging into UMW systems every day. Some tips to maybe help fellow UMW students out if they are struggling with proactive interference? I know my computer and tablet that I use to log on to EagleNet and Canvas give me the option to “automatically save this password for this site?” or “update this password for this site?” and I always do it for my devices to help me out so it’s quicker when I use my devices in my room or on campus. I also make a password that is somewhat sequential. For example, say I started off with “MaryWash17A” for my first password, then the next 90 days when I have to update it I would change my password to “MaryWash17B”, “MaryWash17C”, ….etc. For some reason that helps me out so when I type in my old password at the library and it says “invalid password” (proactive interference) I know that I probably just have change the last letter of my password to the next letter in the alphabet. Some people put their passwords in a notes app in their phone so when you update your password, put it in your notes in case you keep putting in your old password you know where your new password will be! I hope you guys enjoyed my meme! If you have any other tips on how to remember new passwords please comment; I’d love to hear your ideas! This entry was posted in Memes and tagged #UMWProblems, forgetting, interference, memory, proactive, retroactive on March 25, 2015 by mturney. We may have all at some point had to drive in dangerous weather conditions. Of course your parents, colleagues, and friends tell you “Be careful! The roads aren’t safe today,” so you can be extra aware of your surroundings when driving then you are on a normal day. But do we really change our driving when it’s snowing, raining, sleeting, or icy outside? Do we even have the skills to drive in such conditions? According to the Ethan Zell of the University of North Carolina at Greensboro and Zlatan Krizan of Iowa State University, people have a tendency to overestimate their skills. They wrote an article in the Perspectives on Psychological Science about this phenomenon known as the Dunning-Kruger effect, where we’re more likely to overestimate how good we are at a task when we’re not very skilled at it. Of course this doesn’t just have to be related to driving, but it’s more problematic that we are unaware of our ability to drive in winter conditions. Our overconfidence in our driving abilities can lead to damaging or fatal car crashes where on a normal day could have just been a fender bender. Another link to why we cognitively think we are better drivers in the snow and rain than we actually are because of misleading memories. Zell and Krizan said “people are far more accurate about assessing their skills when they receive accurate feedback, but drivers rarely receive any formal or official feedback about their driving.” Therefore, they rely on their memories of past experiences when driving which may be biased by memory decay and the desire to remember one’s performances positively. This Dunning-Kruger effect can also be linked to statistical car accidents. Forbes did can article on the “Most Dangerous Times to Drive” and one of the in depth topics was about driving in dangerous weather conditions. Researchers at Berkeley found that fatal crashes were 14% more likely to happen on the first snowy day of the season compared with later ones. Makes sense right? We think we are skilled drivers so we drive on the first snow day thinking “I can do this no problem.” Then we get in an accident because we are overconfident and overestimated our driving skills. So next time you think you’re an excellent driving and you can just drive normally in the snow, ice, and rain, rethink that because you probably aren’t as skilled as you think you are. If you really have to drive in such conditions, take it slow, be aware of your surroundings, and remember your driving skills are most likely not good enough to drive in dangerous weather conditions. This entry was posted in Uncategorized and tagged Driving, Dunning-Kruger Effect, memory, Skills on February 23, 2015 by mturney. 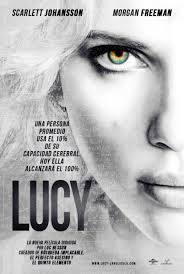 Many of you may have seen in theaters or a glimpse on TV commercials the movie “Lucy” (Trailer for Lucy) that was released in theaters July 25th, 2014. I personally have not seen this movie but I have seen TV commercials and have watched the trailer for this movie and grasped a basic understanding of what the movie is about. The concept of this movie was that humans only use 10% of their brains capacity but in a rare case, this woman Lucy is able to go beyond that 10% and acquire certain skills that other humans can not retrieve in their brain. If you did not know before, this claim that we only use 10% of our brain is a myth. Authors, producers, directors, and the media use anything they can to make an interesting film or book society will want to buy or pay to see. There have been tons of movies and books on the end of the world phenomenon, for example, that people are fascinated with because it’s interesting for us to think about something we do not really know. The “10% Myth” is one of those marvels that some people may believe in and others not at all. There has been many theories about where this myth of “We only use 10% of our brain” has come from. According to the Scientific American, the myth has been linked to the American psychologist and author William James, who argued in his novel “The Energies of Men” published in 1907, that we are only making use of a small part of our mental resources. They also said it has been associated with Albert Einstein, who used this figure to describe his own intellect. Now we may ask ourselves, “Why does such a myth still exist?” A plausible reason why this myth has been popularly is because it is sometimes used to describe psychic powers according to Snope Magazine. People pay to see someone with “intuition” or “supernatural power.” These unique individuals are able to use 80-90% of their brain compared to the ordinary person that is only able to use “10%” favoring the myth for this specific business or entertainment. The myth is also common for people to use when one cannot remember or retain information that they want to tap into. If we can’t remember something, what else to blame but the brain? If you are one of those people that are firm believers that we do only use 10% of our brain, then you probably found the film, “Lucy” pretty intriguing. From what I saw, she learned how to write Chinese in an hour, can move people with her mind, feel every living thing, and much more. This mix of unused intellect and intuitive brain powers fascinates people who believe in the 10% Myth that if we could access the other 90% of our brain, what would we be like and how would that change our society? On the other side of the subject, people who believe the 10% Myth is really a myth can back the brain up with scientific studies on the brain. Looking at the Scientific American again, it’s true that at any given moment all of the brain’s regions are not simultaneously active, but brain researchers using imaging technology have shown that, just like the body’s muscles, most are continually active over a 24-hour period. This evidence would show over a day you use 100 percent of the brain according to neurologist John Henley. Barry Gordon at Johns Hopkins School of Medicine did admit that at certain moments when we are simply just resting and thinking, we may be using only 10 percent of our brains. He also said that we use virtually every part of the brain, and that [most of] the brain is active almost all the time. If you study the brain, you’ll find out that 10 percent of it is composed of neurons the other 90 percent are glial cells. The mystery of this known fact is that glial cells support neurons but their function are unknown. Coincidentally, it’s not that we use 10 percent of our brains, merely that we only understand about 10 percent of how it functions. The film “Lucy” gives the field of cognitive psychology attention to where the field is advancing in the future with the improvement in imaging technology and scientific studies that can help us find out more about what goes on inside our head. This entry was posted in Social Media and tagged 10%, brain function, Lucy, myth on January 27, 2015 by mturney.